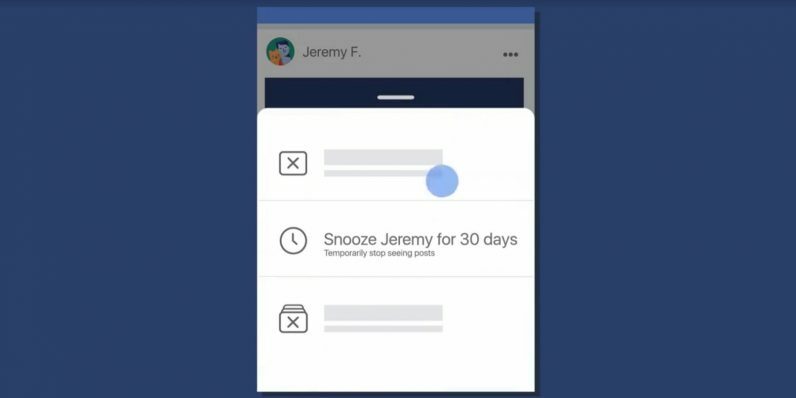 Facebook adds Snooze button to mute annoying friends and Pages. You don’t want to unfriend them, or even unfollow them. You just, you know … need a break. Facebook today introduced Snooze with exactly that idea in mind. If you hit Snooze on a friend’s profile, you won’t see any of their updates in your Newsfeed for 30 days. The feature has been in testing for a few months. There are certain social media features I look at and think, “Who could possibly use that?” But this one I’m pretty sure could see widespread use. A spokesperson proposed scenarios for the Snooze feature, such as students Snoozing distracting Pages during finals week, vacationers Snoozing active groups, or by those with poor impulse control Snoozing brand pages during their holiday deals. That last one I can’t see helping thanks to Facebook’s rather virulent ads, but I suppose it’s the thought that counts.